Custom Heady Pipes | Heady Glass | Scientific Glass / Fourward Glass / Welcome to Fourward Glass Gallery and Heady Glass Pipes located in downtown St. Petersburg, FL! We hope our new Blog page will help our customers keep up with store events, Artist’s Showings and VIP Events, Sales and Special Promotions. We also intend to bring you interviews with some of our favorite artists both locally and nationally who specialize in heady glass pipes, scientific glass and art glass. We appreciate that many of our customers are avid collectors of glass pipes and glass art, so it’s always nice to see what the artists are up to, where they are traveling to, and a little bit about the techniques they are known for. Fourward Glass Gallery and Smoke Shop also takes pride in supporting and promoting our local glass blowers, as well as up and coming artists that may be new to our awesome customers. Two of our employees, Hayden and Alex are on their way to Everdream in Evergreen, Colorado to meet with the artists who make up that amazing group including Nathan Miers who will be visiting our shop in St. Petersburg, for an October, Halloween event. We are looking forward to hearing from Hayden and Alex and getting everyone excited for N8”s “Ghostly Galaxies” showing which will include VIP opportunities and glass blown just for Fourward Glass Gallery. We feel very fortunate too welcome N8 and his extraordinary work. More to come on that! Here at Fourward Glass Gallery and Smoke Shop, we are family owned and operated and wouldn’t want it to be any other way! We celebrated our first anniversary this past May with a great Open House featuring some unique heady glass pipes and scientific water pipes and our hand blown decorative glass art pieces. Fourward Glass Gallery and Smoke Shop is fortunate to be located in the heart of beautiful downtown St. Petersburg in the area known as the “The Central Avenue Arts District” at 611 Central Avenue. We are on a great tree lined street surrounded by locally owned boutiques, restaurants, bars and the iconic State Theater, an active concert venue. Come visit our beautiful gallery and enjoy the day in St. Petersburg! We have beautiful and unique hand blown water pipes, including Heady glass pipes and Scientific glass pipes, pendants, accessories as well as glass plates, vases, goblets and bowls. Also, feel free to visit our online glass pipe store and check out some of the over 280+ heady glass pipes for sale online and 115 scientific glass pipes for sale on our website! We are looking forward to meeting you! 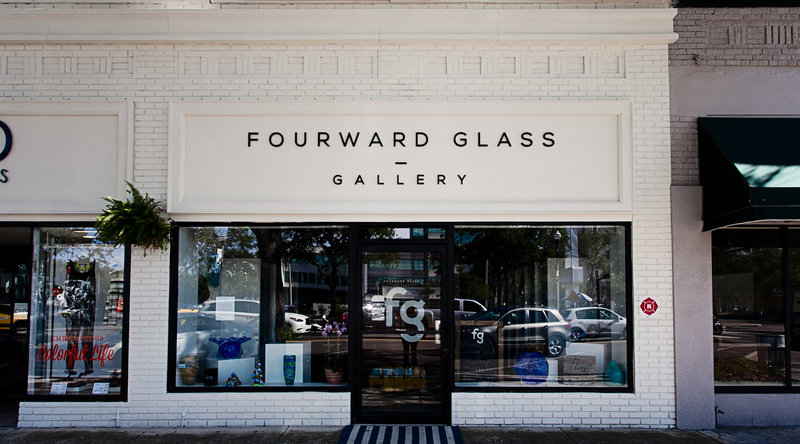 Drop in for a visit and continue to check out our webpage, Facebook, and follow us on Instagram @FourwardGlassGallery.